For construction contractors and subcontractors alike, a firm handshake is no longer a reliable method of ensuring payment when the project is complete. The best method for ensuring payment is the proper use of a mechanic’s lien, which provide a security interest in the Owner’s property to any contractor or subcontractor that follows the statutory process to prepare, file and enforce a mechanic’s lien. If you need to file a mechanic’s lien, your first step should be to find an attorney. Look for one with a good reputation who has experience with mechanic’s liens and exhibits professionalism and expertise. In some cases, a lien can be used to force the owner to sell the property in order to pay their debt. In addition, a contractor who holds a lien may be allowed to step in front of the mortgage lender and property owner when the proceeds of the sale are distributed. To learn whether these or other rights are available to you, consult with your attorney. Any person or entity that directly contracts with a property owner to perform construction work (an “Original Contractor”) must notify the Owner of the Original Contractor’s right to file a mechanic’s lien (the required notice is described in the mechanic’s lien statute), either by inserting the notice into the parties’ contract or by inserting the notice into the Original Contractor’s first invoice or statement. Any contractor that doesn’t contract directly with the Owner (e.g., a subcontractor) must personally serve the Owner with notice of the subcontractor’s right to file a mechanic’s lien at least ten days before filing its mechanic’s lien. As discussed below, a mechanic’s lien must be filed within six months of the last date the contractor or subcontractor completes work at the project. Thus, a subcontractor must serve a project Owner with notice of the subcontractor’s right to file a mechanic’s lien no later ten days before the end of the six-month period after the subcontractor completes his work. Be sure to closely follow and abide by the time restrictions and notification requirements. In Missouri, a statement of mechanic’s lien must be filed with the Circuit Court where the property is located within six months after the debt accrues. 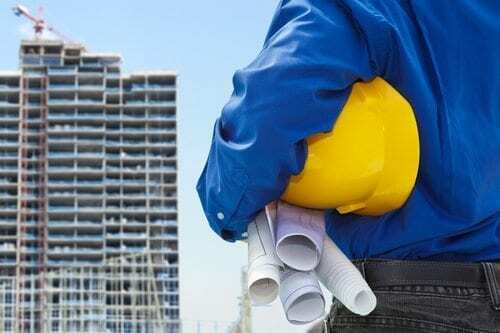 The indebtedness officially accrues on the last date that the contractor performs work on the property or the last day that the supplier delivers materials for the project. The statement of mechanic’s lien will need to include: (1) the amount due, (2) a description of the property, (3) the name of the property owner, (4) the name of the lien claimant, (5) verification under oath that the information is true and correct, and (6) verification that the lien claimant satisfied all filing requirements. If the lien claimant is a subcontractor, the statement must also include the name of the contractor. After you file your statement of mechanic’s lien, you will have six months to file a lawsuit enforcing the lien. If you miss this deadline the lien will expire. The lawsuit will be filed against the property owner (and, if applicable, the general contractor), but anyone who might claim an interest in the property should be notified as well. Carefully prepare your lawsuit with the help of an attorney to avoid common pitfalls, such as failing to accurately describe the property or failing to itemize the work performed. Finally, be sure not to miss the strict deadline, as this could cause your entire case to crumble. When properly prepared and filed in a timely manner, a mechanic’s lien can offer protection and secure your payment. Do you need help preparing a mechanic’s lien? The construction and real estate attorneys at Carnahan, Evans, Cantwell & Brown have extensive experience preparing, prosecuting, and defending mechanics liens. To get started, give us a call at 417-447-4400 or contact us online.